The City of San Marino itself contains most attractions. The City is perched on a hill with regular parking areas for cars and buses. The city historic center itself is only a pedestrian zone that has mostly gift shops and food venues on both sides. Tourism in San Marino contributes a large part of San Marino’s GDP with approximately 2 million tourists visiting per year. 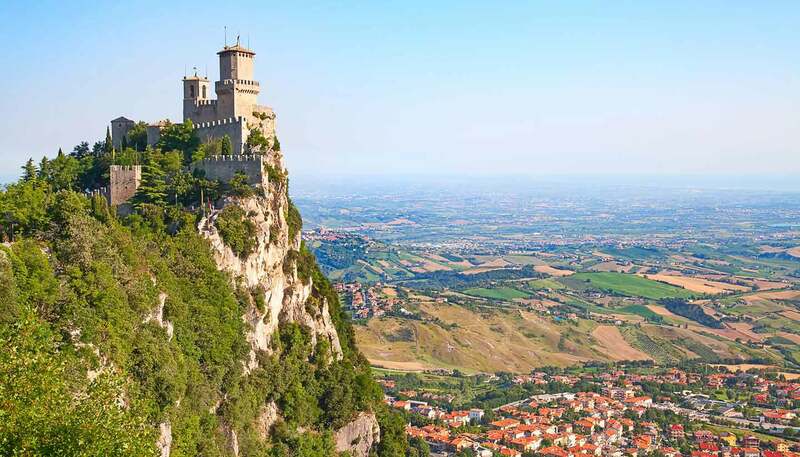 Most tourists who visit San Marino are Italian usually consisting of people who come to spend holidays in the Romagna riviera and decide to spend a half-day or at most a night in the country. Even though there are only a small number of non-italian foreigners who visit tye country, they still are vital to the Sammarinese economy. There is no Embassy or Consulate office of San Marino in Bangladesh. But an applicant can get entry permit of San Marino by getting Italian visa. Travelers must enter San Marino via Italy. There are no border formalities in San Marino, so no specific visa requirements. To know more about Italian visa, Please Visit This Page.